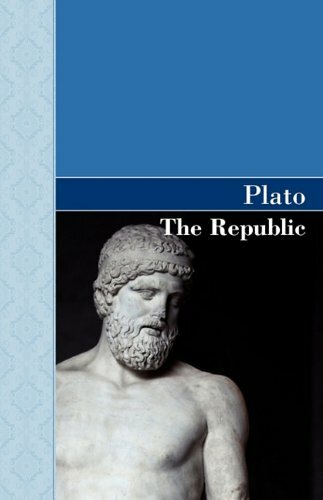 The Republic is arguably the greatest of Plato's dialogues. Although its subject is the ideal state, it encompasses education, psychology, ethics and politics. In the Republic's central passage, Plato uses myth to explore the nature of reality, conveying a vision of the human predicament and the role of philosophy in setting us free. He imagines a cave whose inhabitants are chained from birth watching a shadow-play that they take for reality. The role of philosophy, and more specifically what Plato calls dialectic, is to turn us away from the shadow play and orient ourselves towards the real. This is the essence of the pursuit of wisdom without which an ideal state is impossible. Few modern readers will agree with everything that Plato says, yet his rigorous argument and poetic vision still have the power to stimulate and challenge. This enduring power has made The Republic one of the foundation stones of western culture. In this influential two-volume edition, first published in 1902, the Scottish classicist James Adam examines the text of Plato's monumental political and philosophical dialogue. Volume 2 focuses on Books 6-10, which discuss the place of the philosopher and questions of governance.